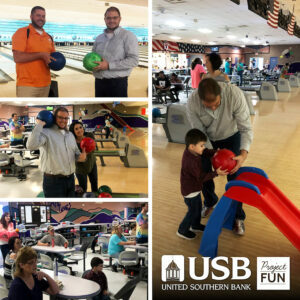 Several of USB employees enjoyed a Saturday afternoon bowling at Pinnacle Family Entertainment Center and having a delicious lunch at Old Chicago both in Clarksville, TN. This is a monthly tradition to have employees from the different branches get to know each other in a fun and relaxing atmosphere. Stay tuned to see what the next fun event will be.